When it comes to protecting your home, you want to use your money and time wisely by picking one of the best home security systems available. Shopping for a home security provider can be stressful. You’re looking to find the company that will suit your home, lifestyle, and budget the best. We’ve made this process easier by researching the best options for you. Here are the 5 best home security companies — and how to pick from them. Chances are you’ve heard of ADT. This company is one of the top choices and companies that provides multiple home security packages. You have options of plans to choose from and ways to customize your home security system. Read our in-depth ADT review to learn more. Competitive prices: ADT has some of the most affordable options. You get several packages and upgrades to choose from based on your needs. Same-day or next-day installation: Don’t worry about waiting days for your ADT service to be installed. You’ll get immediate protection with fast installation. Smart home security and Amazon Alexa integration: Need to check your security cameras while you’re out? Watch them on your phone. Need to arm, disarm, or turn off lights while you’re out? You can do that on your phone too. You can also enjoy all of the perks of Amazon Echo and Alexa with an upgraded ADT plan. Wired or wireless options: Because ADT is one of the original companies, you can choose from a traditional wired home security system and a wireless home security system. Long-term contracts: Like most home security companies, you’ll have to sign up for a long-term contract to get service. These are usually at least three years. If this is too much of a commitment for you, learn the cancellation policy before signing anything. No DIY installation: This company doesn’t offer any DIY installation options. DIY installation is convenient and less expensive. ADT sends professional installers to ensure your system will work correctly. 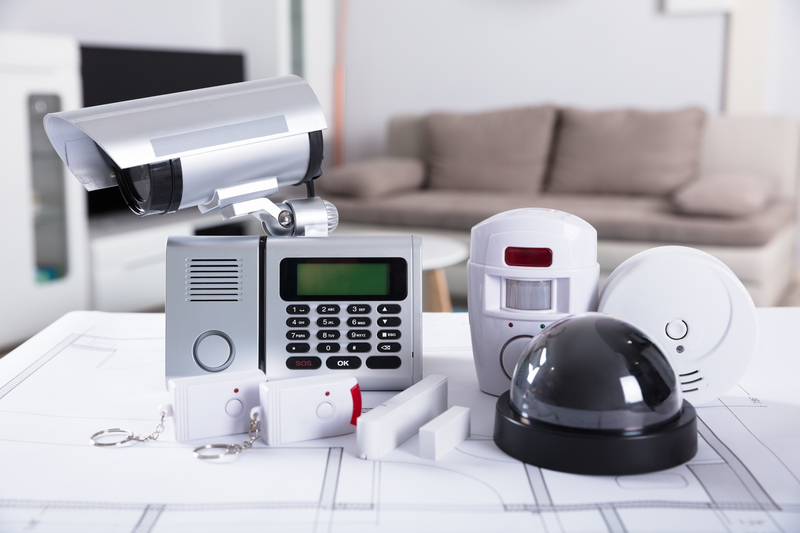 Investing in a home security system can sometimes feel like signing your life away with expensive starter kits and long contracts. Protect America is one of our top choices for affordable packages. You can choose from several coverage levels. Plans start as low as $19.99 a month over a three-year contract. Read our review for more details. DIY or professional installation: You can choose between easy DIY installation and professional set up. If you feel up to installing the monitor and sensors yourself, you can do the free DIY plan with their starter kit. If technology isn’t your thing, have a professional set it up for you and walk you through the system. Fixed monthly prices: You don’t have to expect any changes in the future. Protect America offers fixed monthly rates and no surprises. What you sign up for is what you pay every month. Lifetime equipment warranty: Protect America includes a lifetime equipment warranty in the monthly price. If your monitor or motion sensors malfunction, you don’t have to worry about replacing the expensive equipment. This warranty keeps Protect America one of the most affordable home security systems. Three-year contract: Like most other home security systems, you have to sign a three-year contract to enjoy the attractive prices. The contract can be broken only with a payout of the remaining balance. Upgrades required for some features: To enjoy some of the top features like the Amazon Echo Dot integration or the 24/7 video recording, you need an upgrade. You’ll have to pay more, but you’ll still pay a lower price compared to some of the best home security companies. Every home has different needs. Link Interactive is one of the home security companies that understands that. Some homes may need more sensors, more security cameras, or different options for monitor programming. Link Interactive uses a DIY model to let you design your home security system. Read our Link Interactive review to learn more. DIY installation: You are the author of your security system. Every package that Link offers you install yourself. The installation process is straightforward and fast. No landline required: Link Interactive is a wireless-only company, so no landline is required to install your security system. Wireless systems make the DIY installation process a lot smoother for customers. You can use your existing wireless connection to set up your devices. Takeover plans: Link Interactive is the only home security system in our list to offer takeover plans if you need to cancel a contract with another company. Link Interactive offers you a financial plan to help pay off a previous contract and transition to their upgraded plans and devices. Expensive start-up costs: While Link does offer tons of choices when it comes to customizing your packages, equipment start-up costs can be pricey. Instead of paying for your equipment during the contract, you pay for the pieces up front. The price could add up, but the system is yours from the beginning. Short warranty: The equipment warranty only one to two years. Compared to other companies that offer three-year warranties or even lifetime warranties, this isn’t reassuring. If you want a wireless smart security system for your home and to avoid landline installation, we recommend Frontpoint as the top choice. As one of the best home security companies, Frontpoint makes sure that you and your home are well-connected and prepared. You can enjoy their high tech monitoring systems and a myriad of smart home security and automation features for a reasonable price, and you don’t have to sign a three-year contract to do so. DIY installation: Frontpoint is the best wireless choice because of their simple, DIY installation process. The connection uses a cellular connection. Excellent customer service: Frontpoint brags about their award-winning customer service from their products to the professional monitoring response teams. The company also has a fully updated, user-friendly website with plenty of information available. The customer service line is available 24/7. 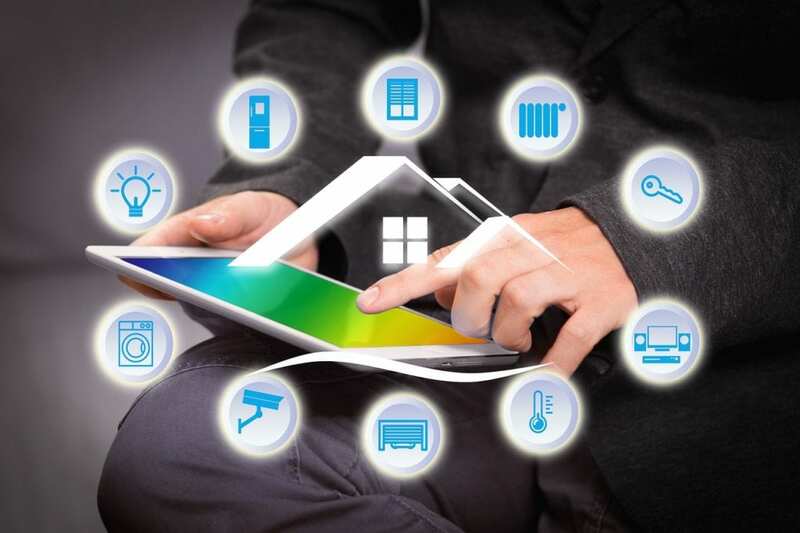 Powerful home automation: If you’re a smart home owner and want your home security system to work well with the rest of your gadgets, you’re in luck. The Frontpoint home hub has all of the tools to do that for you. The Frontpoint hub is also great for encryption, backups, and other customizations. Shorter contracts: You have the option to sign up for a one-year contract. Shorter agreements increase the monthly cost, but the shorter commitment may be worth it for you. Wireless only: Frontpoint has no landline installation options. It is a wireless-only company. For those looking for a DIY security system or no contract systems, iSmart Safe is here to help. iSmart Safe gives you all of the perks of home security systems without the monthly bills and long term contracts. 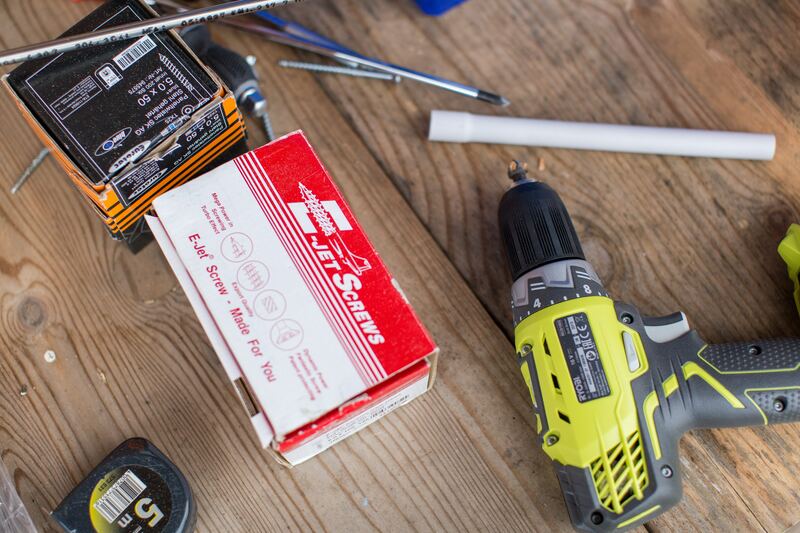 iSmart Safe gives you equipment that is easy to install so you can do it yourself. You purchase the equipment and install it yourself. Instead of having a monthly monitoring plan with monitoring fees, you receive alerts anytime an alarm or movement is detected. You then can contact the authorities if you need to. Get more details in our iSmart Safe review. Customizable packages: Because you are purchasing their equipment outright, it is easy to add extra pieces. Indoor smart camera: iSmart Safe’s packages come with an indoor smart camera that has two-way voice communication and HD video recording. You can talk to whoever is in your house even if you’re not there via the home hub control panel and the mobile app. No contract or monthly monitoring fees: If you are wary of signing long contracts, consider iSmart Safe. The comprehensive packages don’t require a long-term commitment. Self-monitoring: The major downside to self-monitoring services is that you have to stay on top of your alerts should something happen. Stay vigilant and make sure your alerts are on so you can get help if you need it. The obvious reason to get a security system is to protect your home from break-ins, but that’s not the only reason a security system is useful. Let’s go over the top reasons why you need to consider a home security system. About 2,000,000 home burglaries are reported a year. That number isn’t changing anytime soon. Statistics also show that burglaries are not always dependent on where you live or what type of home you have. Anywhere, whether house or apartment, gated community or not, is vulnerable to an attack at any time. Home security systems are not only good for protection while you’re in the home. Most burglary attempts take place when no one is in the home. Most break-ins happen during the daytime when the inhabitants are at work or school. Your home is more vulnerable to being attacked while you’re gone, so having security cameras that pick up any unusual activity could save you and your home. Even with all of the statistics on burglaries, a security system can give you peace of mind. 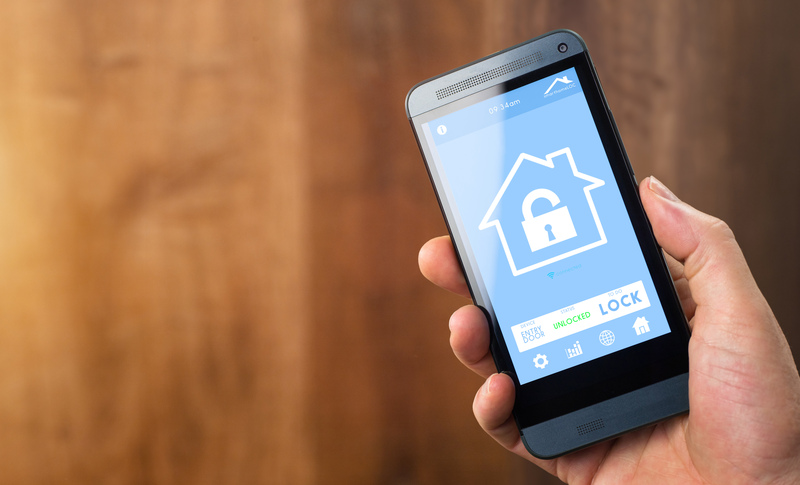 Should the unfortunate happen, the home security company and technology will have your back in the form of an alert to your phone or alerting the authorities. With 24/7 video monitoring, you could check on the live feed directly from your mobile app. It’s always better to be safe and in the know than sorry. Statistics show that a visible monitor prevents 90% of home burglaries. If a robber is scoping out a neighborhood, a visible sign you have a security system could deter the robber. If the alarm goes off, this could scare the robber from continuing the attack. Your monitoring system is working for you when you’re not there. While it may seem that all of the best home security systems offer the same thing, different companies have different features. In the same way, every home and family has different needs when looking for a security system. Here are some things to consider to help you choose the best home security company for you. Companies like ADT and Protect America are some of the top names in home security. The reputations alone precede them and attract customers to the services. If a company’s reputation is important to you, choose one with an excellent rating. A well-known company can give you access to more word of mouth reviews. More importantly, research details like response times and customer service to see if the company’s reputation makes them trustworthy to you. A business is only as good as its customer service. With home security, this aspect is crucial. Because most of our best home security companies offer safety monitoring, the company needs to have an excellent customer service reputation. When an alarm goes off, most companies immediately contact you. Choosing a company with fast response times and helpful representatives is crucial when dealing with security. A company’s warranty policy is also apart of customer service. If a company does not prioritize its paying customers by giving them a good warranty policy, the customer may be frustrated if any of their equipment fails or malfunctions in any way. Four out of the five best home security systems on our list require a contract. The standard length of a contract is three years. Some companies like Frontpoint offer more expensive but shorter contracts. The monthly bill comes out cheaper when you sign a three-year contract. If you have to break the contract for any reason, most companies will make you pay the remainder of the contract and possibly a cancellation fee. Other companies like iSmart Safe work on a no contract, no monthly cost basis. Instead, you purchase all of the home security equipment such as the camera, the sensors, and lights in a package up front. If you are wary of signing big contracts for whatever reason, this may be a better option for you. Prices vary when it comes to choosing a company. Some of the more established companies with newer technology may cost more for monthly monitoring, while others may have good package deals that average out the cost. Installation fee: Some companies require you to use their professional installers. Other companies offer a start-up kit you install yourself. Check with the company to see if there is any additional cost for this service. Upfront equipment costs: Some companies make you buy the equipment up front. You then own the items instead of paying for them monthly. Warranty: Some companies charge extra for the warranty. The amount of cameras and motion sensors you need depends on the size of your home. The size of your home could change the equipment package you choose. You don’t want to leave part of your home vulnerable to attacks or blind spots, so consult with the home security company about what package would be right for your home size. The number of sensors and cameras you need depends on the number of access points you have in your home. You’ll need door sensors and window sensors to cover all the vulnerable areas in your home. If you have a large house, you may need a premium package with more cameras and motion sensors. For the most flexibility, choose a company that lets you customize or upgrade easily. Your package usually comes with a control panel and a mobile app with several home automation features, but technology is only as good as its user-friendliness. Some are better than others. If your devices are complicated and frustrating to use, you won’t like your system as much. You should be able to arm, disarm, and view your footage easily and quickly. Our detailed reviews will tell you some of the best home security companies with user-friendly software. Before the proliferation of wireless connections, getting home security meant having a technician come to your house to install a complicated system. This process often costs money and time. Now, you can choose between this traditional option or installing a system yourself. Most security systems are easy to install yourself. DIY systems come with all of the equipment you need, a manual, and a customer hotline if anything goes wrong. Doing DIY installation also avoids installation fees. Smart homes are all the rage nowadays. Having control of your home from your mobile device is a convenient feature. Most home security companies offer home automation systems and integration with the control panels and video cameras. You can arm and disarm your devices from the palm of your hand. You can also view the video footage of your home whenever you want and receive alert text messages to your phone. Browse different options to see what you most want to use. Before looking for the best home security company for you, you need to acquaint yourself the different types of systems. Technology is ever-evolving. Know what is on the market to make sure you’re getting the best value. Wired home security systems require a landline connection. To install a wired system, you have to drill holes to run the cables through the walls or floors. These systems require electricity to work. These systems aren’t as susceptible to radio interference issues or hacking, but they are permanent additions because of the holes you have to make for the system. The wires can also be cut to disable the system. A wireless system operates from a battery or cellular connection that doesn’t require hardwiring. Most wireless systems also have a cellular backup to keep you safe if the power goes out. A wireless security system can seem like the better, more modern option. These don’t require as much work to install and are easy to upgrade. However, wireless systems are susceptible to interference, have range limits, and may need battery changes. These are the best security systems for renters because you won’t leave as many traces behind. Both types of systems provide sensors for your doors and windows so you can set off alarms if there is an intrusion, and most systems now are compatible with cameras, video doorbells, medical alert systems, home automation systems, and other newer features. Ask your home security company questions about how these systems will work with your home to know which the best option will be for your situation. An alarm system is a sensor-based system that you’re able to arm and disarm when you leave. Some of these systems include cameras for an additional fee. 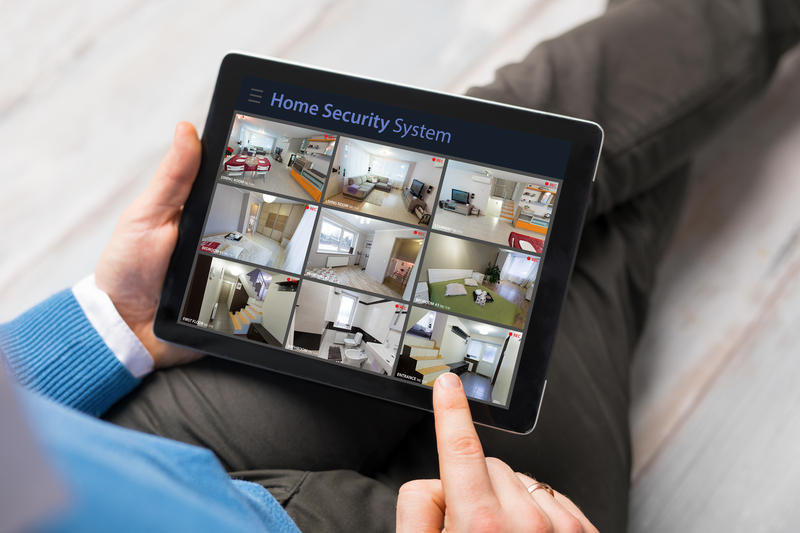 If you’re most interested in cameras or home automation, you may not need to use a full security system. You can buy the cameras or video doorbells as individual pieces instead of paying a monitoring fee. However, if something happens, the cameras on their own won’t contact authorities for help. A home security system with monitoring will sound alarms and call for assistance if you need it. Once you’ve considered the pros and cons of the best home security systems, you can decide which one to use. For more information, read our in-depth reviews of our top 5 picks for best home security systems.